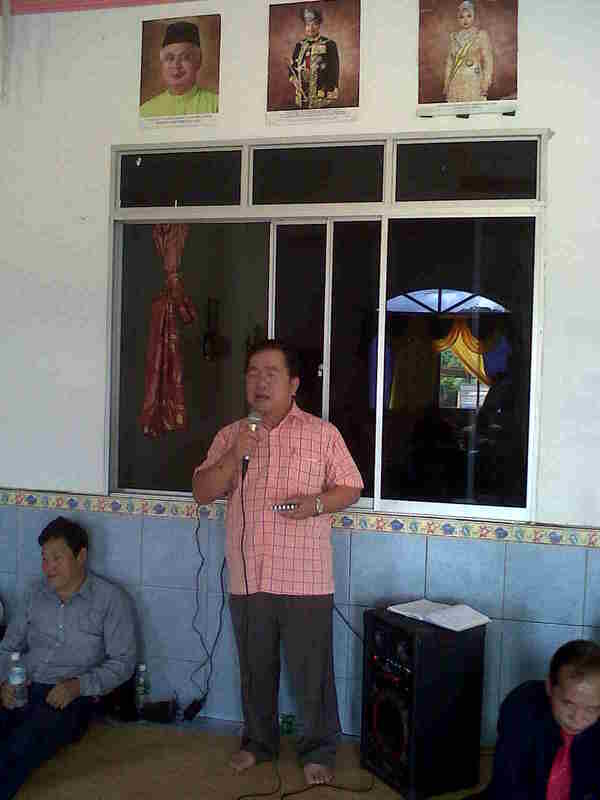 Suara Sarawak: Pictures Alfred Jabu and William Mawan would not want you to see! For the third leg of its state-wide roadshow, PKR visited two very strong Barisan Nasional strongholds over the weekend. And we are glad to share with you that we have been able to penetrate these places and received very encouraging signs of welcome by the rakyat there. These pictures should be able to show you the reality on the ground and the tsunami sweeping over the entire state as one by one, BN bastions are opening their fortress doors to Pakatan Rakyat! 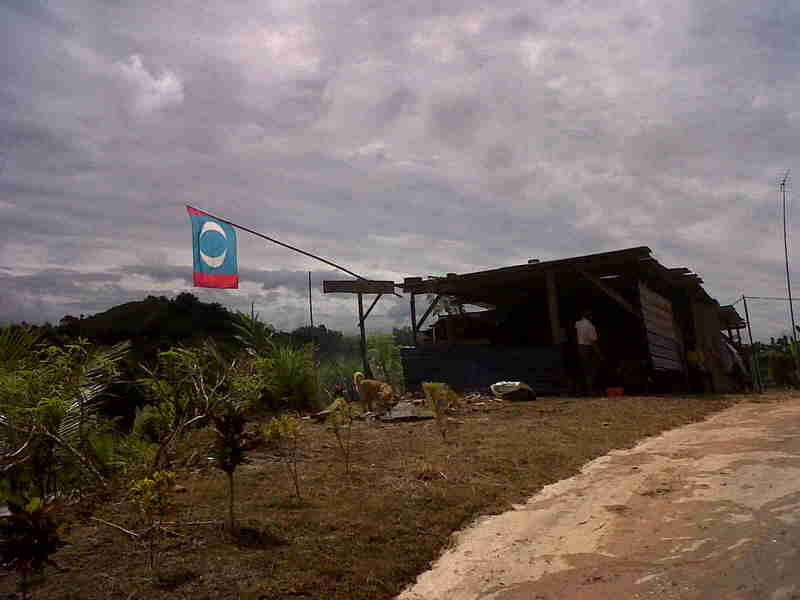 The PKR flag now proudly flies in the parliamentary constituency of Julau which covers the two state seats of Pakan and Meluan. The rakyat welcomed us with traditional music. The tuai rumah himself performed the dance of the hornbill slaying its enemies! 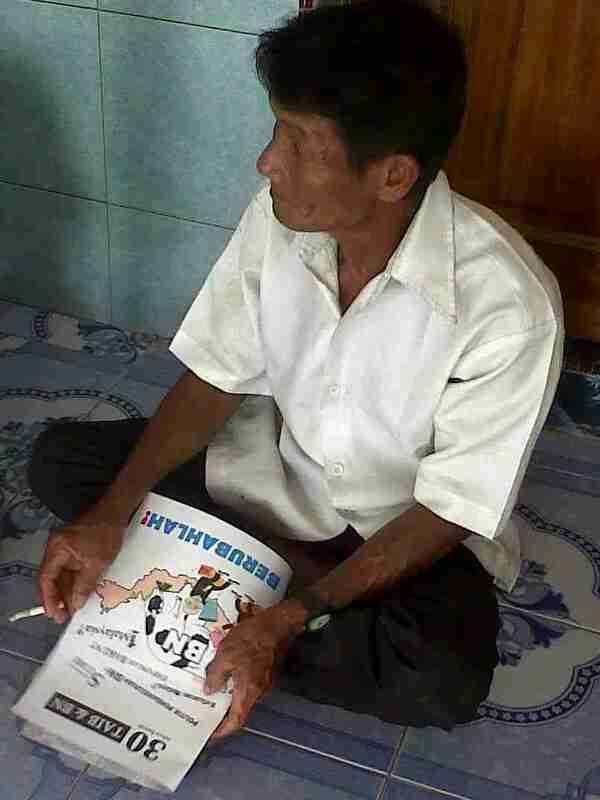 Rakyat who have not heard of reformation and change and the corrupt practices of the BN are now equipped and educated with the essential tools they need to make the right decision: INFORMATION in the form of printed materials and vcds. We were told many rakyat were still afraid to show up for fear of backlash by their local YBs. However, their hearts are now keen for CHANGE. Nevertheless, the two hundred people who did turn up consisted of many tuai rumahs, opinion leaders and new party members who will bring back information to their respective areas and longhouses. 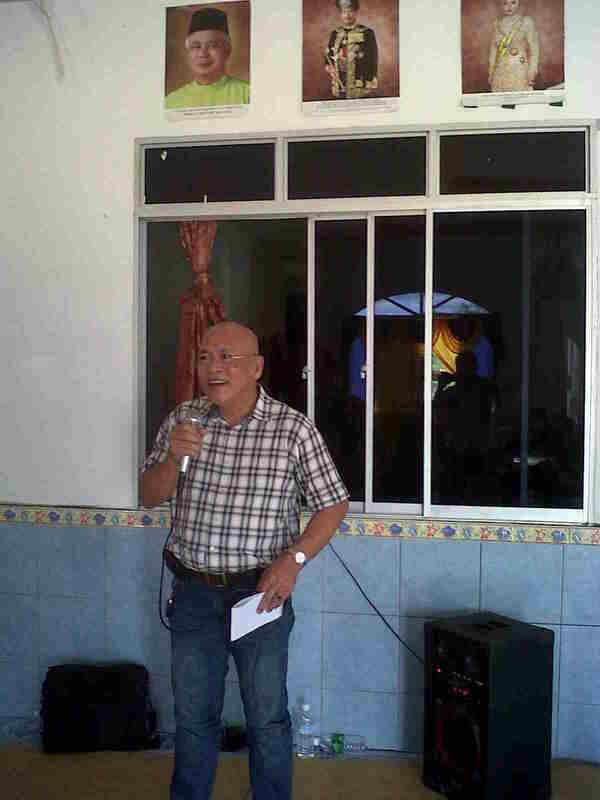 Again, we hear of the same problems and issues affecting the people of Julau that are affecting the other rural areas in Sarawak. And so our leaders took the microphone and explained how PKR and Pakatan Rakyat will help them to resolve these problems and issues. 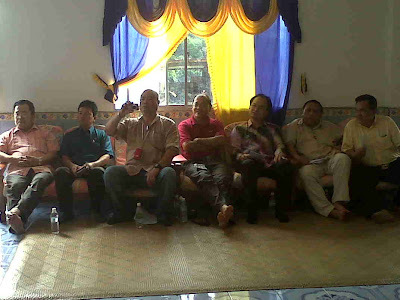 Mengga Mikui, Dr. John Brian Anthony, Baru Bian and Munan Laja. 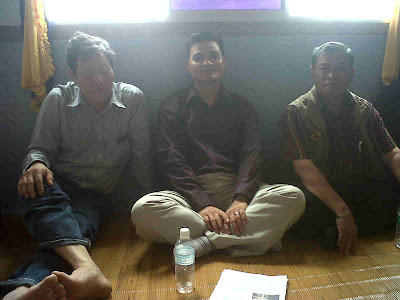 Munan Laja, Pemancha Jenging, Steven Epay and Joshua Jabing. Jimmy Donald, Bernard Ngumbang, Mengga Mikui and Dr. John Brian Anthony. Wong, George Chen and Warren Aris. PKR leaders explaining the real meaning of democracy and justice for all to the rakyat whose lands have been taken away and whose livelihood is now precariously threatened by the rampant corruption and mismanagement of state funds. 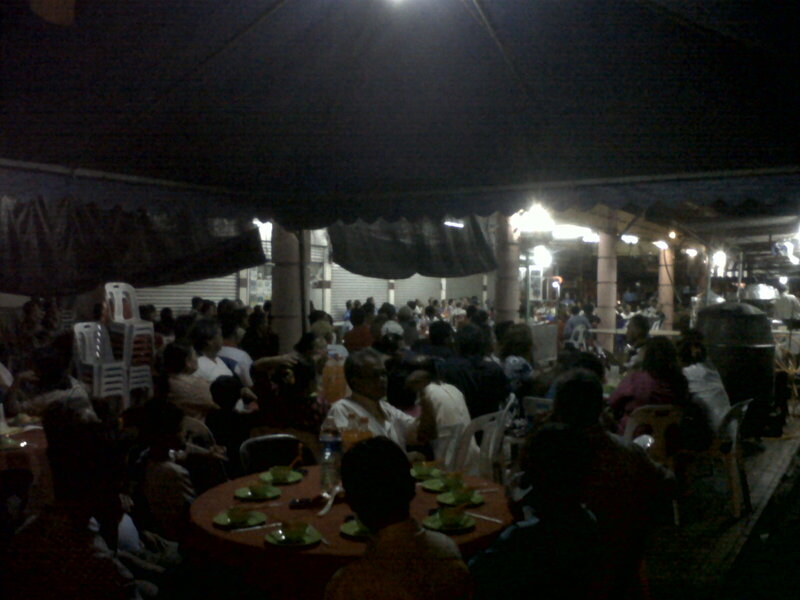 On Sunday night, despite sabotage and dirty tricks by the BN, over three hundred people turned up at PKR's Chinese New Year gathering held in a street pavement in Betong town. 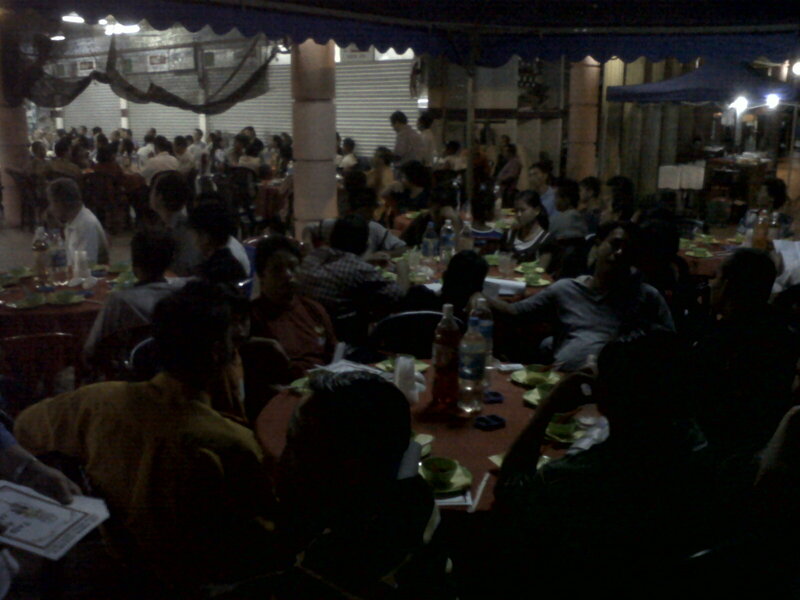 PKR had no choice but to serve dinner on a street pavement adjacent to a coffeeshop because all the dewans and halls in Betong are under the payroll of the BN regime. 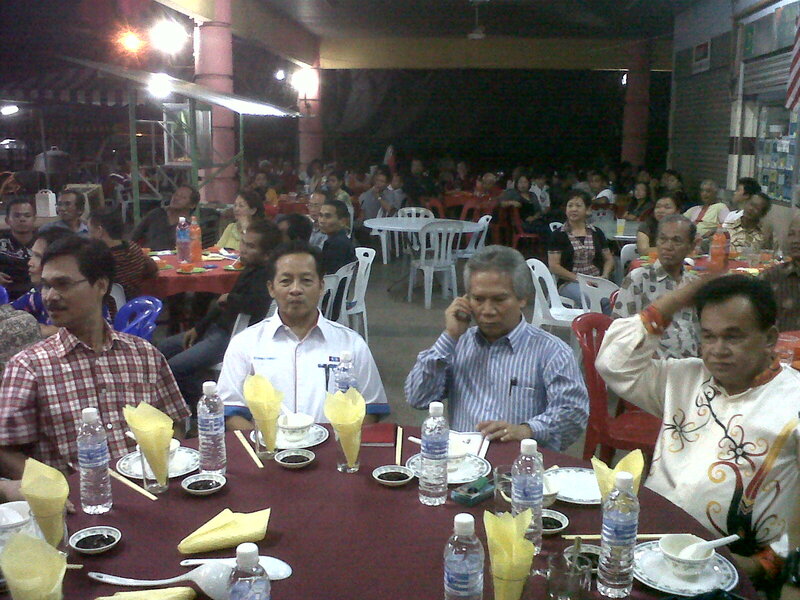 Never before has Betong, a BN stonghold and 'fixed deposit' controlled by Alfred Jabu for the past 30 years, seen a crowd this large openly attending an Opposition function held in public! 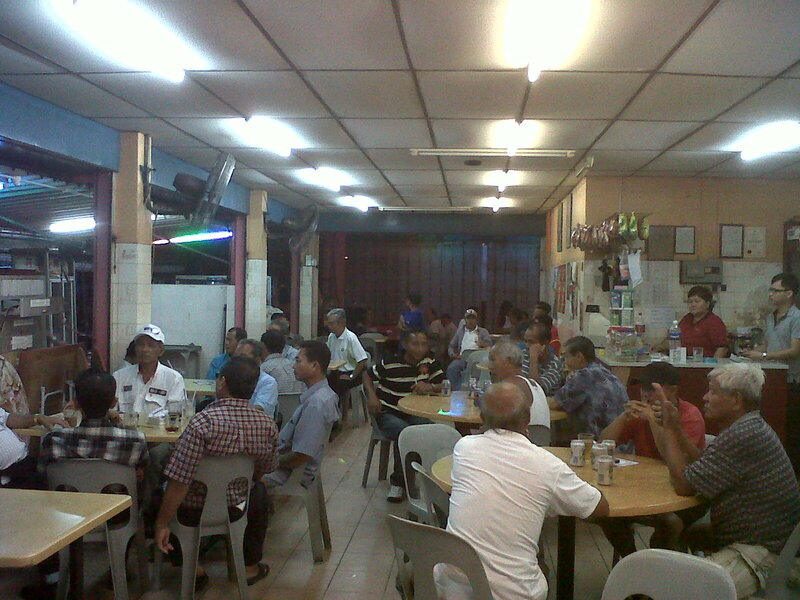 Even the nearby coffeeshop was filled with customers who listened to our ceramah! Baru Bian with Abang Zulkifli Abang Engkeh and Stanny Embat. Party leader Nicholas Bawin and ex-PBB supporter Pemancha Jenging who has tendered his resignation as a 'pemancha' because he said it is shameful that the BN government pays him a salary of "RM700 which is less than that of an Indonesian maid." 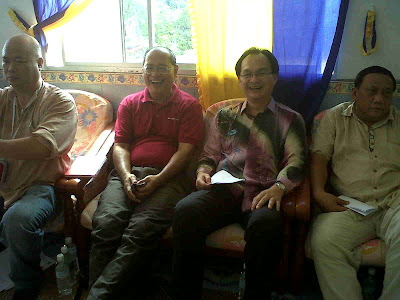 Mengga Mikui, Joshua Jabing, Dr. Christopher Kiyui and Datuk John Tenewi Nuek. All stood for grace and prayers before the function began. 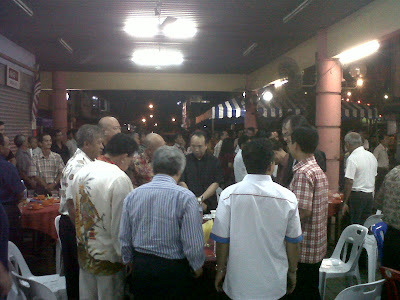 These are PKR leaders who are willing to stand in the street to bring the message of CHANGE! Even the rain could not stop the tide of BERUBAHLAH! 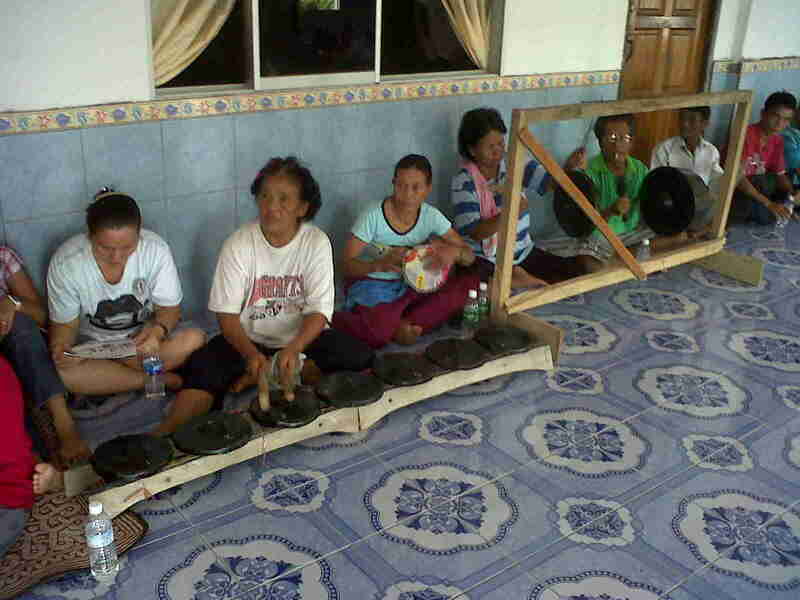 sweeping Betong! 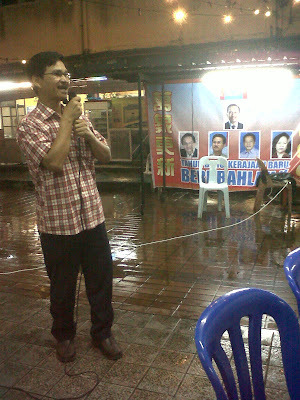 Which BN leader will abandon the comforts and grandiose of an air-conditioned and carpeted hall and instead stand on a street pavement to speak to the rakyat in the rain? PKR leaders will and do! 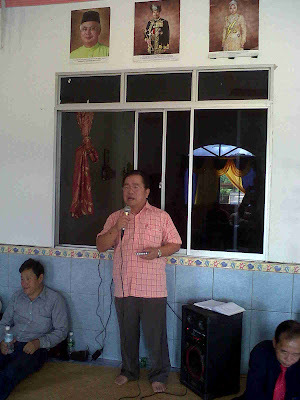 And Betong responded with loud and thunderous applause! It is encouraging to see the level of support of rakyat towards Pakatan has increased. These pictures tell a clear story. Change is coming to Sarawak. Bye bye BN. Keep it up PKR. BN is very worry now and they know that their time is very near. PKR on the offensive and BN on the defensive. The war has begun. Who will win? The ONLY certainty in life is change, so do not be afraid, change will take place whether with you or without you..let us all move a head with CHANGE.."BERUBAH MEH MADI"
Rindok aku diat sokongan tapi... kawan2 kena ingat banyak-banyak. Sidak nandah ajak waktu tok tapi sidak kenal pasti tempat2 dan urang2 yang beri sokongan. 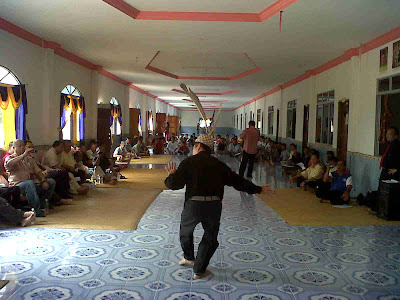 Toward last minutes of voting sidak akan encurah segalanya dengan kawasan dan urang yang dah dikenalpasti sidak. 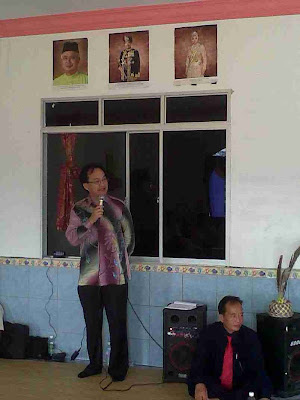 tau-taulah urang2 tok akan cair dan mudah goyah dengan duit ringgit dan reta-benda ganti rumah, surat tanah dan macam2 lagi kecuali langit dan bumi jak sidak sik dapat beri. Tok ingatan iklas atas pengalaman diri aku '90/91 election. soalan mampukah kitak? The wind of change is now! All must vote for change! Only then Sarawakians can claim back what rightly belongs to us, our land, our resources and all the ill-gotten wealth stolen by the corrupt BN leaders! The present MACC and AG are sure to be replaced because they are toothless and tools of the BN. Time is near Be End! Now is the right time for us-rakyat Betong, to make a change.Jabu never walk the talk.all he do is making promises but never fulfill it.Jabu is a liar.. Went to Sarawakreports.org the so call BN propaganda and posted my opinion. Need approval. But here, my message is clear instantly. BN and all their dogs......u guys are going to jail!!!!!!!!! 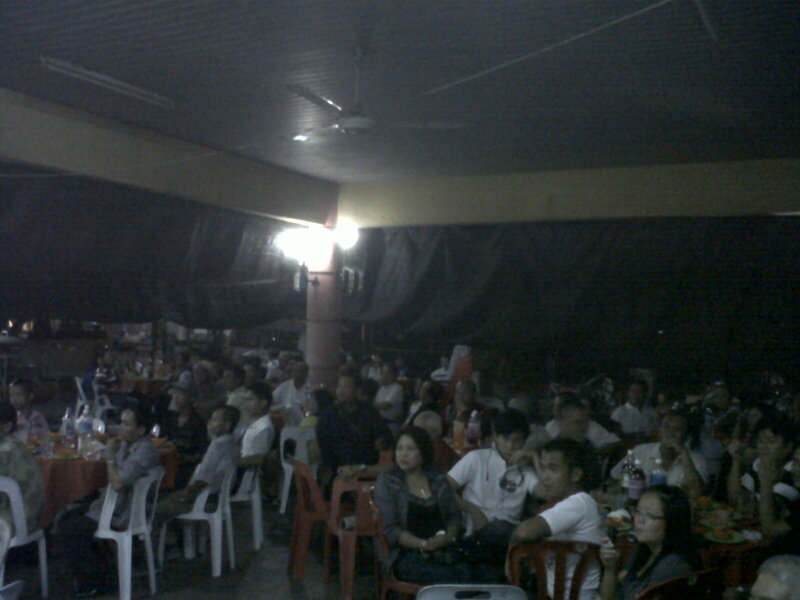 Huh..im so glad for the support..Keep it up PKR.. 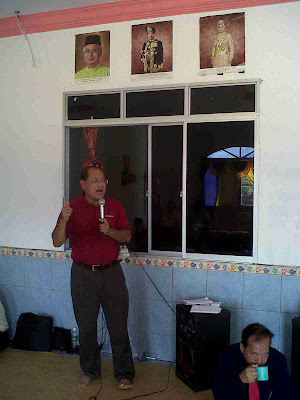 Please keep it even if PR win or lose.. please dont stop to tell our rural folks the truth. The most important is taht, we want PR VS BN (One by One) on every seats. Of course please, deligently, peacefully, cleverly... do your homework so that SNAP still in line with PR. Forget about the "frog" party like PCM... Good luck, my vote for you! I agreed Baru Bian is the best man for Sarawak.Sayang dia ikut Anwar.Saya tak percaya langsung dengan Anwar.Benci melampau.masa dia masih jadi orang kuat Mahathir dia kutuk pembangkang teruk dari kutuk babi wo..Sama macam Taib Mahmud,Anwar pun pentingkan diri.Takut baru Bian jadi keldai. People and citizens of sarawak. 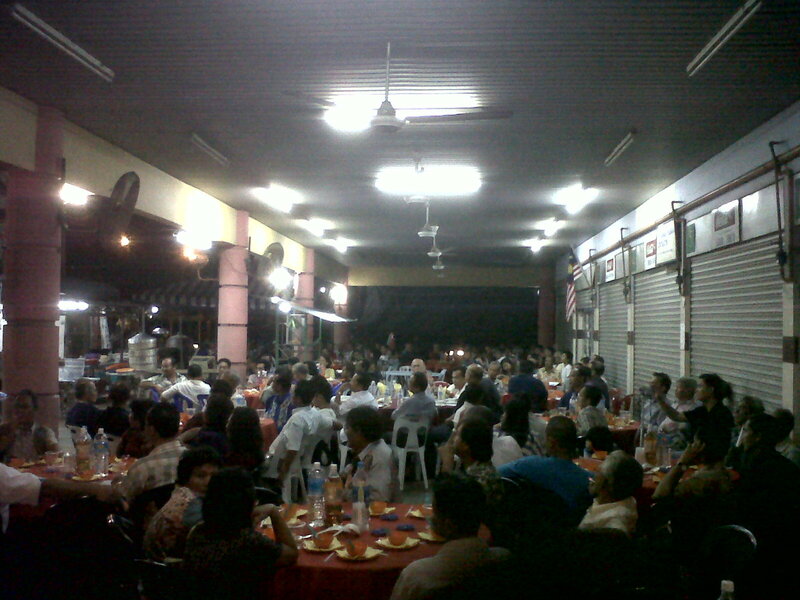 Please support the Pakatan rakyat if you want a brighter and promising future. We are not blind. 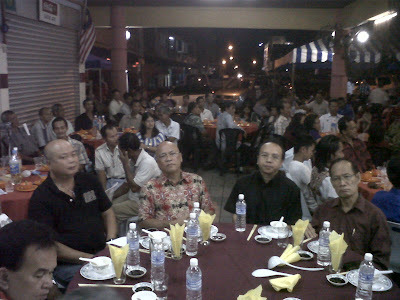 We know what the BN really are..corrupted and arrogant politicians. Bro. Baru.....your team has indeed open up minds of many this time & I believe we'll tear down some strongholds. All the best & God bless ! 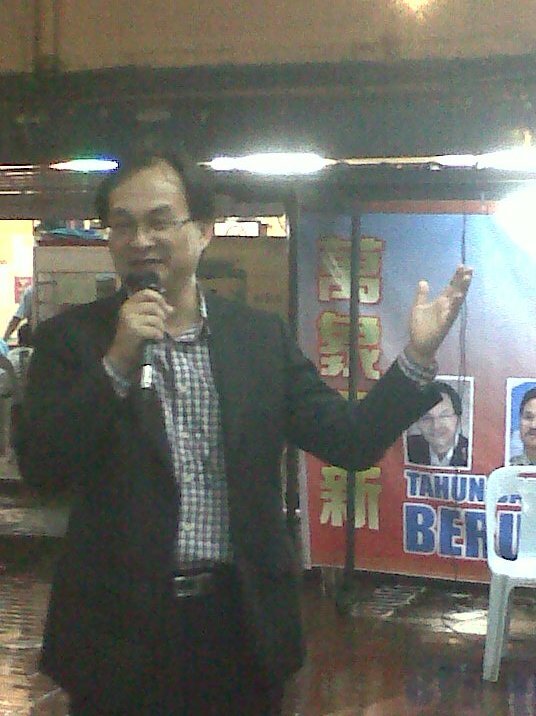 Baru Bian, you not only do the right things! You do things right as well! Give the corrupted Federal Government the tsunami of the twenty-first century!!! DCM Jabu has enjoyed high office since time immemorial. Sarawak has abudant oil, gas, hydro, timber and oil palm, yet the trunk road from Kuching to Miri is a disgrace and natives lack electricity and drinking water. What have you and your CM done for the people in 35 yrs in the light of Lee Kuan Yew’s world-renowned achievements? Haven’t heard any of you make an intelligent speech nearer to a British PM or a Parliamentarian. CM’s daughter-in-law’s divorce claim alone is RM400 millio, one can imagine what’s under the tip of iceberg. High level crime! Outrageous injustice, disgrace and shame! 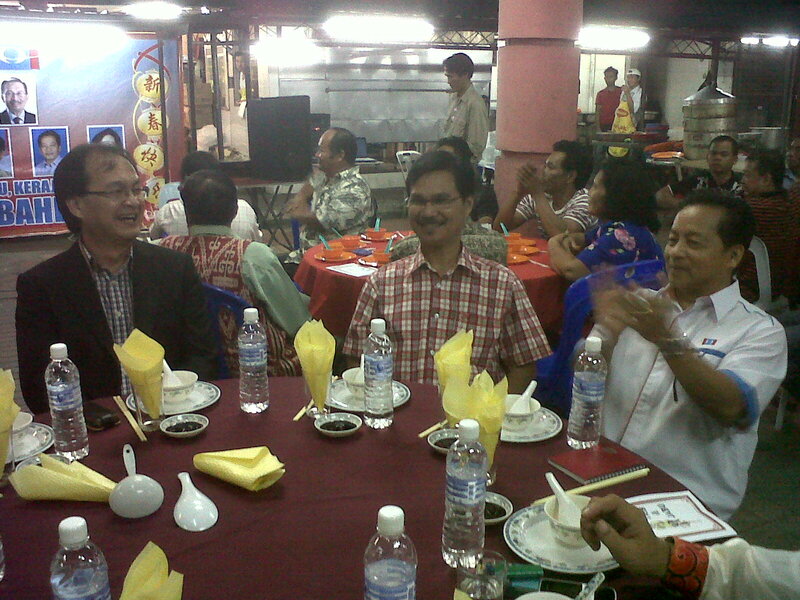 3 murders: Ross Boyert (Taib’s former US aide), Manser (native & rainforest activist) & Altantuyaa (Scorpene commission claimant). It was likely many at the top were beneficiaries of the French kickbacks. 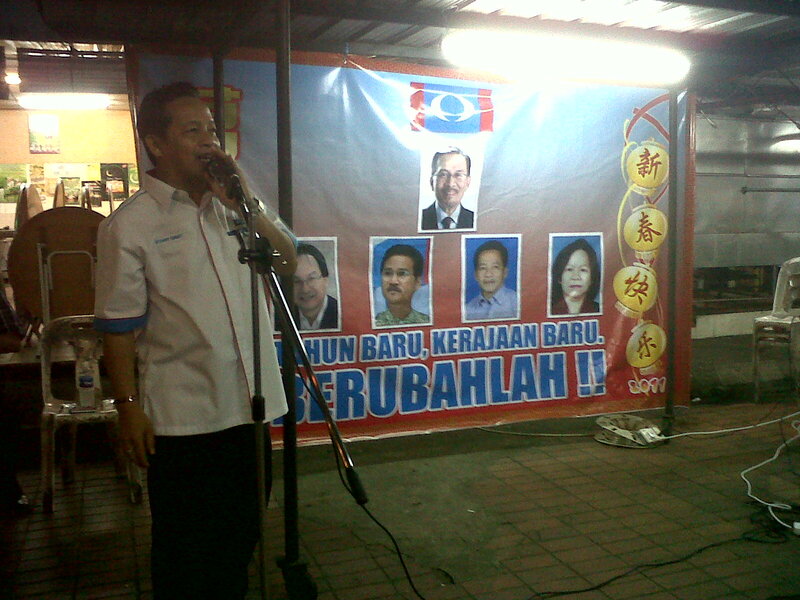 Hence the deadening silence from UMNO. Kleptocracy! A government that exists only to boost the wealth & grip of those in power. Hence the kind of MACC you have, torturing opposition over a few thousand ringgits. A government of thieves. What justification is there for crooks & criminals to remain in power? The only question is how long it will take to remove them given your unfair electoral system. Scorpene case. Impeachment is long overdue. This is only the tip of the iceberg. Think, before the arrival of internet media, twitter & blogs, how much has been plundered, squandered and hidden by Sarawak’s PBB & KL’s UMNO. Malaysia has become the biggest laughing stock of the world.